'Tis the season for peppermint, pumpkin, eggnog, gingerbread, candy cane, spice, sugar, cinnamon, cranberry and pecan flavored everything! And while they are all delicious, gingerbread is by far my favorite flavor of the season. Gingerbread cookies, gingerbread lattes, gingerbread muffins, gingerbread bars, gingerbread granola...love it all. I've tried making homemade gingerbread cookies from scratch once and it turned out terribly. They were dry and crispy and took forever. If you've ever made them, you know that gingerbread cookies are rather labor-intensive and take a long time to prep. Nearly every recipe I've seen requires an hour or two of prep time and at least a dozen ingredients. Who has time for that?! Not to mention all the dough rolling and flour-covered mess that leaves on your countertop. Not a chance in hell I'm going there with a toddler. Busy mamas, rejoice! Nestle Toll House now has rolled and ready gingerbread cookie dough sheets in the refrigerated dough section. These are A-MAY-ZING! They come in 3 flavors: gingerbread, sugar cookie and chocolate. Each package contains two sheet of cookie dough, rolled out and ready for you to bake with. If you have kids that want to make gingerbread (wo)men or shaped sugar cookies, all the work is already done - just grab your cookie cutters and get cutting. No mess, no wait time, no flour, no rolling pins. If you want to make gingerbread bars, stack the sheets together and bake. If you want round drop-cookies, you can do that too. And they only take 7 minutes to bake. Hallelujah! I love gingerbread men, but I wanted something a bit less messy (and requiring less artistic ability) for Mac's preschool holiday party, so I decided to use the cookie dough sheets to make gingerbread cake pops (without the pop because I could just see the little kids in his class using the sticks as swords and someone losing an eye). So cake balls, or "truffles" if you want to be fancy. I'm so fancy! :) Hahahaha. No. I just pulled the cookie dough sheets out of the package, threw them in the oven and baked for 7 minutes. Once they were cool, I crumbled them up with my fingers in a bowl. 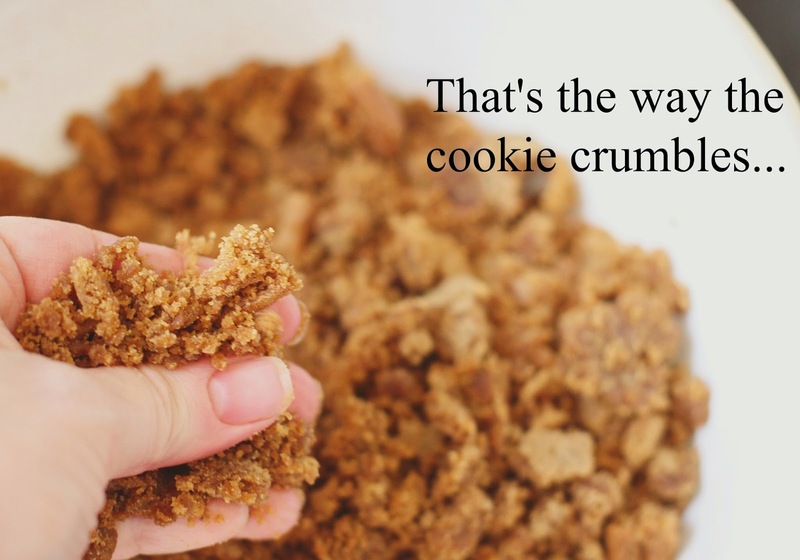 Don't worry about having some crunchy chunks of cookie from the edges. 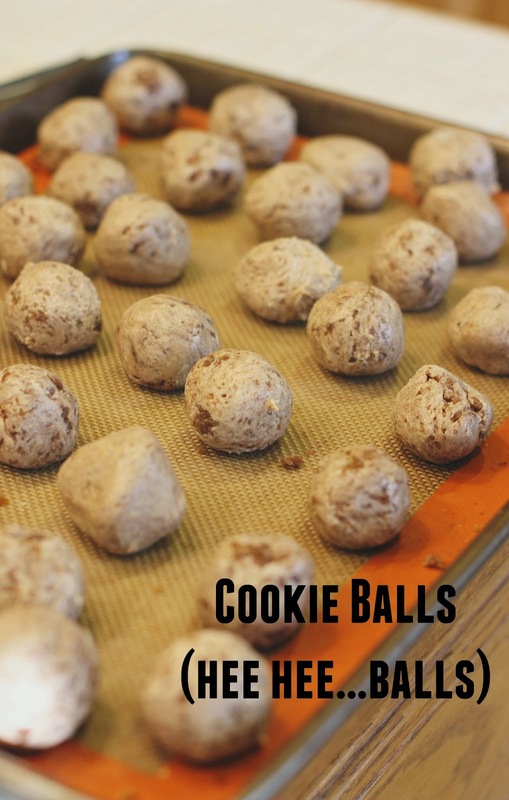 Those are going to make the truffles extra awesome and add a little bit of texture to the cookie ball. 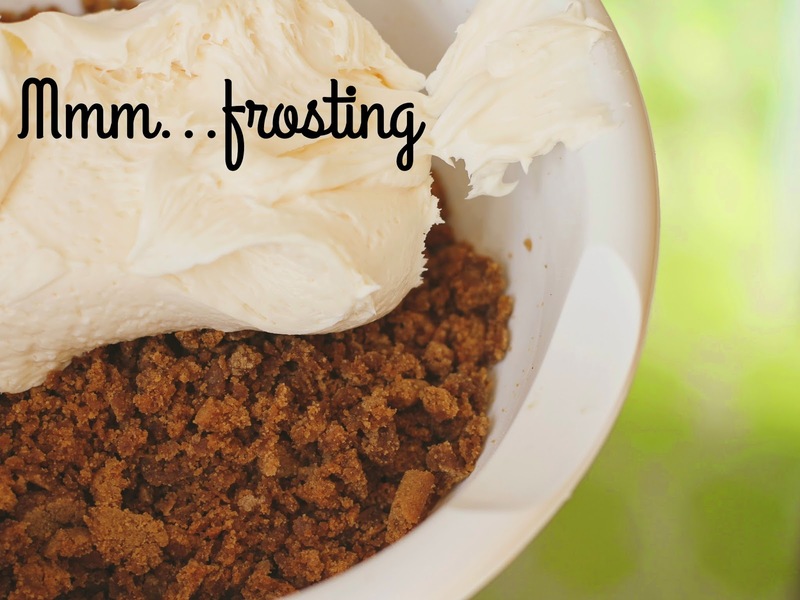 Next, add some cream cheese icing of your choice. You can make this from scratch if you have a great recipe, or do what I did...buy it in a jar. Mix it all together so that is a big gloppy sticky mess. You want a bit more cookie than icing, so make sure you don't add too much or they'll fall apart. If you have extra icing, feel free to eat it directly out of the jar with your fingers. This is a no judgment zone. Roll the dough into balls and pop them in the freezer for a few minutes. Meanwhile, melt some white chocolate in a double broiler on the stove (or microwave it in a bowl on a low setting). Once the balls are completely frozen, dip them in the chocolate. It's important that they're cold so they don't fall apart once submerged in the warm chocolate. I use a fork to fetch them out and place them back on a cookie sheet. Sprinkle with sugar (or drizzle with chocolate) and then pop them back in the fridge to harden the chocolate coating. Viola! They are SO SO SO SO SO good. I am not even kidding when I say they're one of the best desserts I think I've ever made. I cannot stop eating them. They're rich, with a tiny bit of crunch, a hint of spice and the perfect amount of chocolate, cream cheese and gingerbread. 1. 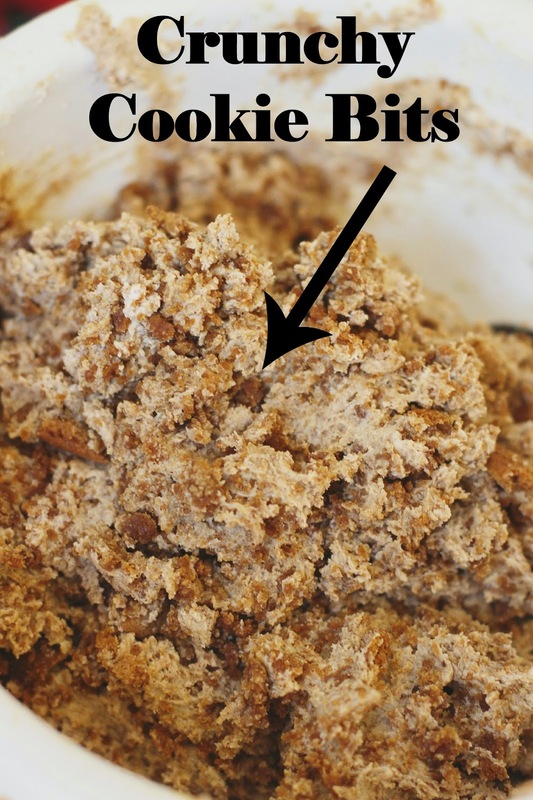 In a large bowl, crumble the gingerbread cookies into small pieces. 2. Add enough cream cheese icing so that the cookies are coated and sticky enough to form balls, a truffle-like consistency. 3. Using your hands, ball up the dough and place on cookie sheet. 4. Stick cookie sheet in the freezer until hardened. 5. Melt the white chocolate in a double boiler, stirring frequently. 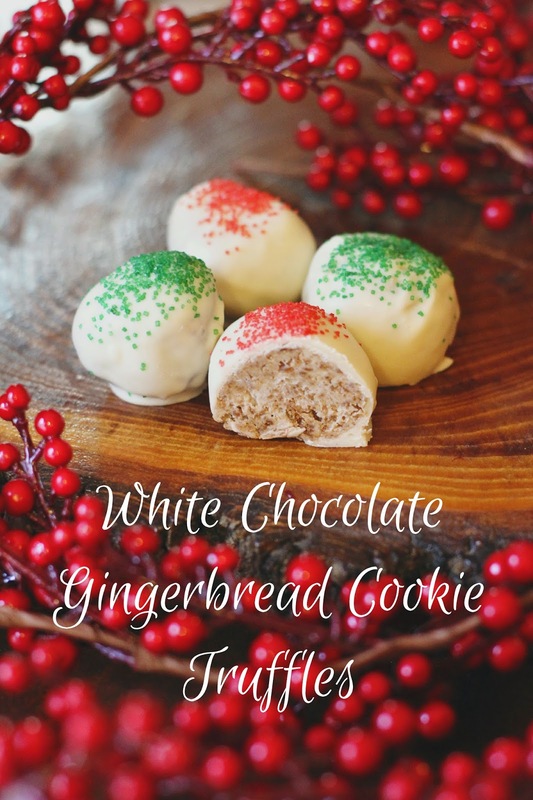 Allow to cool for a minute or two and then dip each gingerbread ball in the white chocolate, turning to coat. 6. Place back on parchment lined baking sheet. Sprinkle with sugar as you go. When all balls are dipped, place back in refrigerator for 15 minutes or until white chocolate is hardened. *Thanks to Nestle Toll House for sponsoring today's post and encouraging me to try their new Rolled & Ready Cookie Dough Sheets. **Use the Product Locator to find a store near you that carries the Rolled & Ready Cookie Dough. YUM!! I am so in the baking spirit lately...I may have to add these to my list!! Thanks for sharing! Those look delicious!! I didn't know Nestle offered gingerbread sheets like that! Yum! I've bought some and making some gingerbread cookies with them and dipping the feet in chocolate!! Yum!! I may buy more to try your recipe though! you are a genius. these look easy and delicious and i swear i can smell that gingerbread! I have refrigerated gingerbread dough in the fridge, I am TOTALLY making these!!!! Those look amazing! I've seen a few people review that new cookie dough and I think it's such a great idea, especially when you have younger kids helping out!